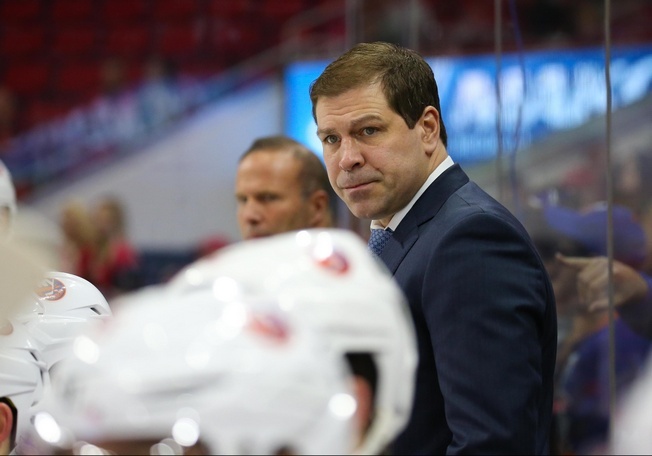 The New York Islanders are going with Doug Weight as head coach. The team officially removed the interim label from his title on Wednesday and named him as the official full-time coach of the club, a move that comes after he went 24-12-4 after replacing Jack Capuano in January. After the January 19 arrival of Weight, the Islanders posted the second-best record in the NHL. Unfortunately, the damage was done and the team found themselves one point behind the Toronto Maple Leafs for the final wild card spot in the Eastern Conference. The Islanders won just six of their first 20 games and looked ready to skid into a dismal finish, but the coaching change proved profitable in just about every way and the team responded. Weight, the 19th coach in franchise history, helped develop young players like Anders Lee and Josh Ho-Sang. He also showed a tenacity for drawing up plays and became the type of coach players respond to. His skill as a coach helped the club handle a nine-game road trip at the end of February, turning it into a 5-3-1 run. There’s a lot to like about this move and it really is the only one the team could’ve made, but questions remain about the front office. General manager Garth Snow is still on the hot seat, with just one playoff series win to show for himself and some questionable moves in the front office. Upper management hasn’t exactly been a strength for Long Island, but word around the campfire is that the team is hoping to add someone to oversee hockey operations. That could mean Snow is set to stay for the next while or it could mean the Islanders are testing the waters. Regardless, the Weight decision is the right one and his fixed status behind the bench means things could be looking up.